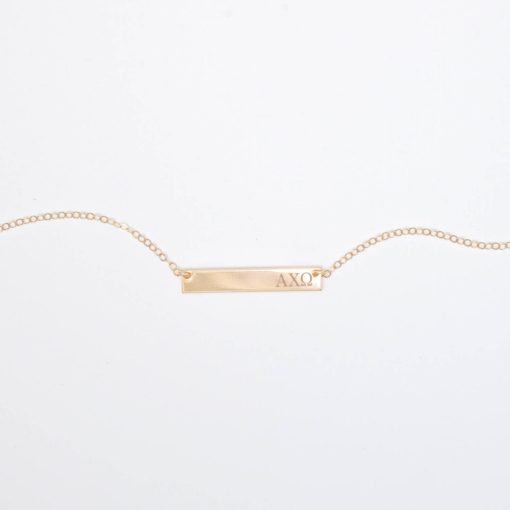 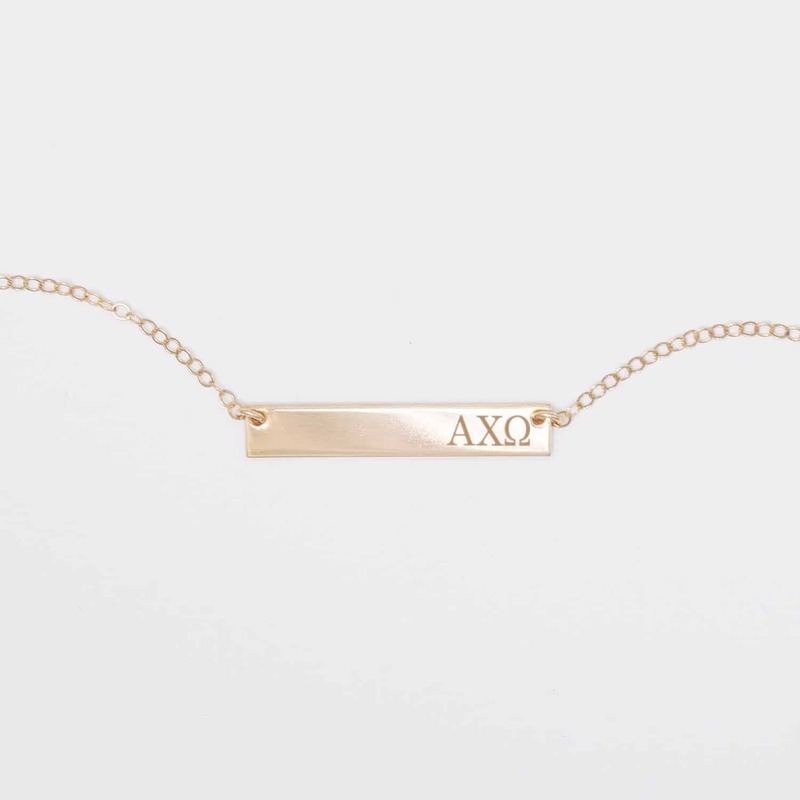 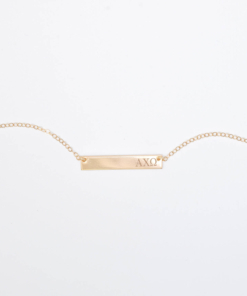 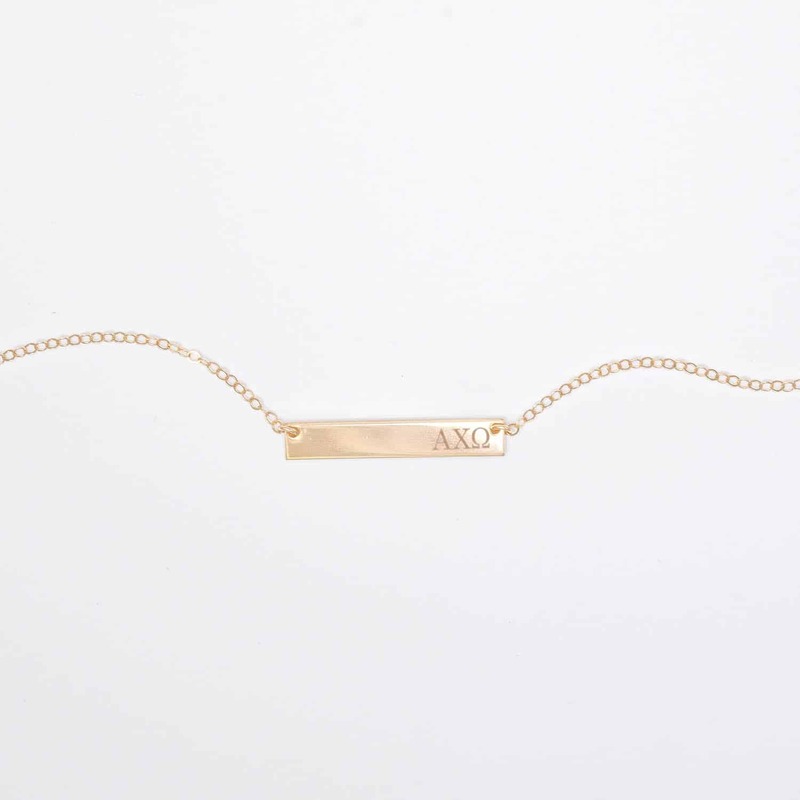 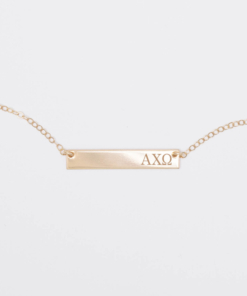 Our bestselling sorority bar necklace is laser engraved with the Greek letters of your choice. 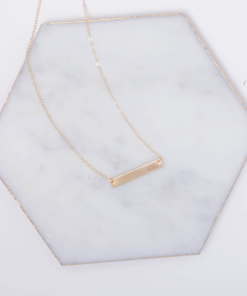 This bar necklace is handmade from high quality sterling silver, 14k yellow gold, 14k gold filled or 14k rose gold filled materials and features a 1.5mm delicate cable chain with spring ring closure. 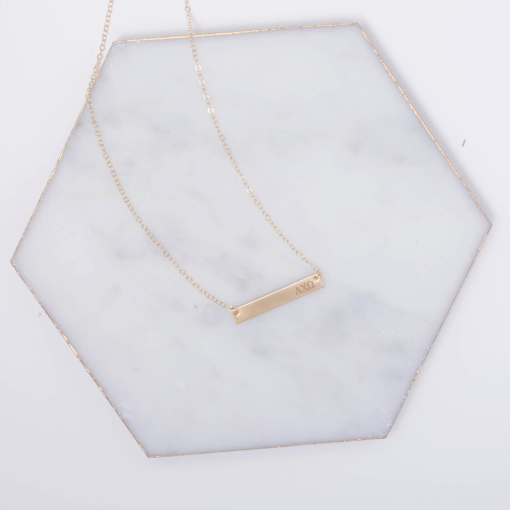 This simple, on-trend necklace is great for layering or worn alone as a minimalist, subtle touch of style. 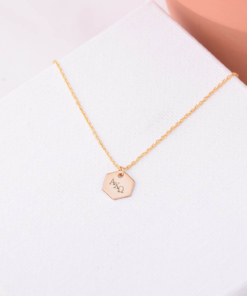 It is a beautiful and simple gift for a sister, friend or even to treat yourself!